Our LED Starlit dance floor - A pure gloss white dance floor that looks beautiful when laid and in place, but adds that extra special sparkle, elegance and "WOW!" factor when hundreds of awe inspiring twinkly and sparkly white LEDs illuminate from within the floor below. 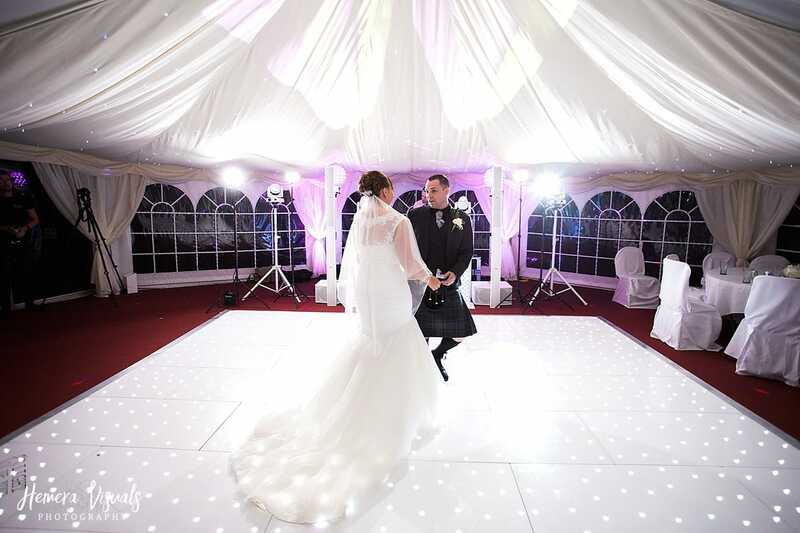 Whether you require the white LED lights to remain static, or flash and twinkle, the dance floor lighting can be fully controlled to change the intensity and flash speed, In the flesh, in photos, and in videos, these dance floors look truly magical! Our white starlight floors are flexible in size(starting at 10ft x 10ft) depending on your space, they can be provided and installed into nearly every venue, marquee or event location. Whether you require a small, or large floor, square or rectangular, our team will deliver on time and professionally install, creating a fantastic focal and talking point at your event. When you hire a white starlit dance floor, each floor is delivered, installed, polished and removed from your event by ourselves. So here is the 8ft High illuminated Love Heart with Cabochon lighting. It is perfect for backdrop pictures, or at an alter even over a cake table, really the options are endless. It's even on a dimmer switch and the lights can also be changed to suit your colour scheme! All of our letters are free standing at 4foot high by 2 foot wide, with a crisp clean white finish. We have a custom designed font fitted with beautiful Cabochon bulbs. We can offer cool led bulbs or warm white bulbs. In our Cabochon range of lights there's even a choice of colours. These give a softer glow and a sparkle effect like a diamond against the white background. The beauty of the Cabochon is you can change the colour of them to suit the colour scheme of your wedding. For something a little more personalised to your day why not add your initials along with our stylish '&' to compliment your 'LOVE' letters. Our cinematic box is a huge hit, If you are looking for something a little different to welcome your guests to your wedding, party or event then this would be perfect. It is also fully customisable and sure to be a hit for a truly unique day! Our white metal light up "Just Married" letter set in joined writing style with Cabochon lighting really is a great addition to a wedding - at an impressive 3ft high x 13ft wide! - this would be perfect in front of a top table - a perfect way to introduce the "Just Married" couple. Our vintage script love sign is 3ft tall by 7ft wide, If you are looking for something a little different to add a touch of class to your wedding, then this would be perfect. It is the perfect addition to any venue, and is floor standing so can be positioned anywhere in the room - also the red loveheart compliments this. Our vintage script Mr & Mrs stand at 3ft tall, If you are looking for a striking focus point to add a little bit of a WOW factor to your wedding, then this would be perfect. It is the perfect way to let your guests know you are now Mr & Mrs, (as if they didn't know already) and is floor standing so can be positioned anywhere in the room. Mood lighting as the name suggests is lighting setup around the venue or room to give off a mood or set a tone. Mood lighting or uplighting can be any colour to give the room a beautiful look and feel. The Magic Selfie Mirror is the latest alternative photo booth. This glamorous selfie mirror captures full length photos using a touch screen reflective screen. “Strike a pose” then customise your pictures using the on-screen paint pad.  You can even add your signature – your pictures are printed in less than 10 seconds. 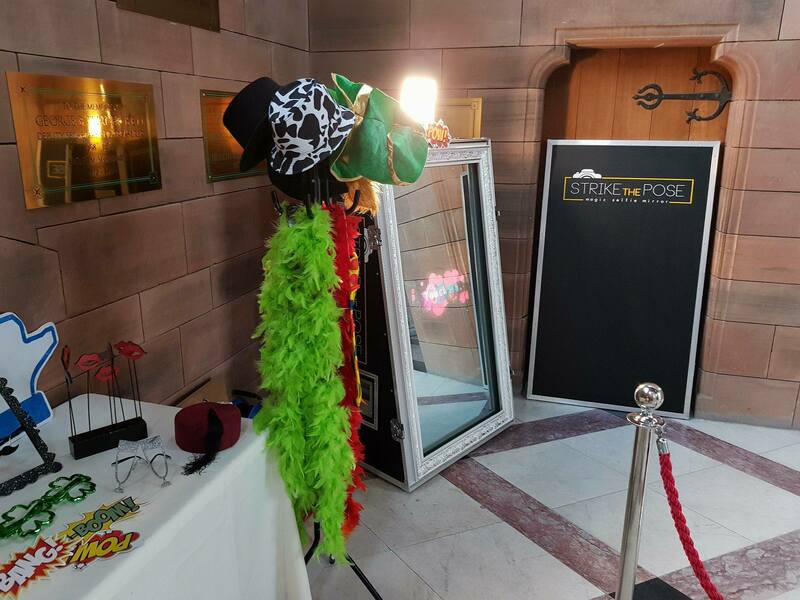 If you are after something a little different to wow & entertain your guests then look no further – The magic selfie mirror will without a doubt make your next event stand out! The Magic Selfie Mirror is a new, fun and engaging way to take photos at your event. This is made more fun by having a selection of props to help you “strike the pose”! Also a great way to create a guestbook with some memorable shots and well wishes from all your guests!